PYEONGCHANG, SOUTH KOREA - Noriaki Kasai had a bittersweet Valentine’s Day. On Wednesday, teammate Yuki Ito, who finished out of the medals in ninth in the Pyeongchang Olympics women’s ski jumping on Monday, gave Kasai a box of chocolates before boarding her flight back to Japan. Kasai’s conversation with Ito, who is half the 46-year-old legend’s age, brought her to tears. But for Kasai, the talk only amped up his motivation for Saturday’s large hill final. “I took it pretty personally,” Kasai said Thursday on the eve of large hill qualifying. “Before she left yesterday, she came over to give me chocolates. I ate them right away, they tasted really good. I told her to keep her chin up and she started bawling. She nearly drove me to tears. Kasai finished 21st in the normal hill last weekend in a stop-and-start competition affected by howling winds at Alpensia Ski Jumping Centre. 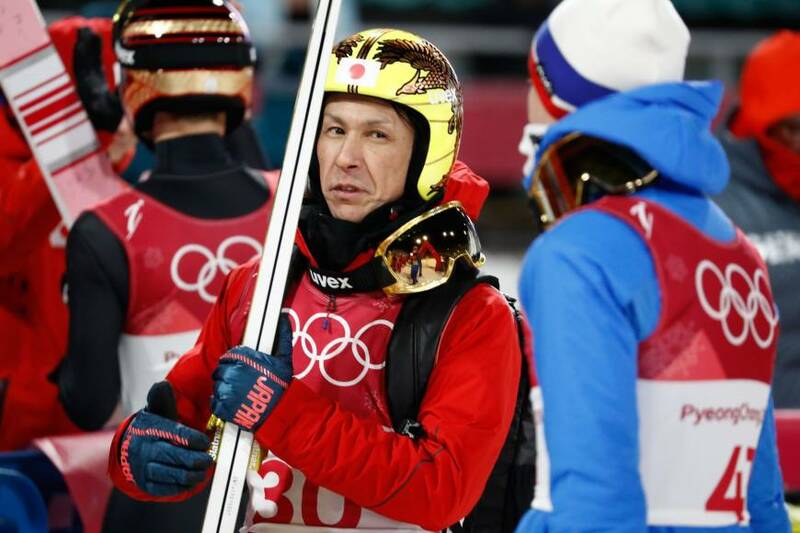 Kasai, who thought the conditions were poor enough that it could have been called off, is more confident for Saturday than he was for the normal hill but is expecting the weather to be challenging to a point where anything could happen. In six previous Olympic appearances before his Sochi silver, Kasai’s best finish in the large hill event was eighth in Vancouver in 2010. 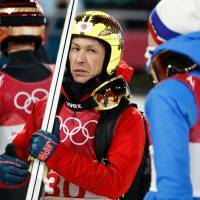 “I’m more confident in the large hill than the normal hill, but to win a medal I’ll probably need another five to seven meters of distance,” he said after three practice jumps, in which he came in fifth on the second attempt with a leap of 138.0 meters. Kasai said the large hill in Pyeongchang is similar to the one in Hakuba that was used for the 1998 Nagano Games. “The view from the top reminds me a lot of Hakuba, which I have a good feel for,” he said, hoping familiarity will bring success. “I’ve been watching film, doing some work in front of the mirror at the gym. Doing lots of simulation with the aim of getting more lift on my jumps.